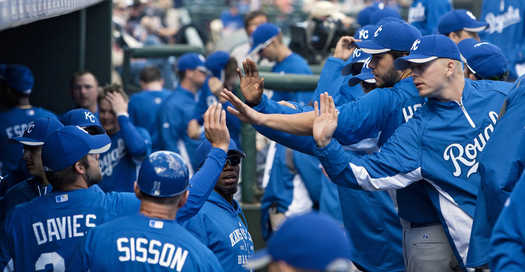 Orange County, CA – The last few days have been a challenge to connect with John Lamb during his third Spring training experience with the Kansas City Royals. Both the Cactus and Grapefruit Leagues are filled with pitchers and players working to prepare for the 2011 season. While John and fellow teammates in the Royals organization continue to work towards their next assignment, I have been slightly overwhelmed with the amount of inappropriate comments pouring into this site off topic. Fortunately, John is not deluged with the work involved around the baseball field. We have shared this common desire to learn the game for many years and for that alone I am truly grateful. Another Spring training is nearing the end since the start of the Major League Baseball season is about two weeks away from opening day. Some players have already been assigned to minor league levels, while others continue to work, prepare and compete for roster spots within the Royals system. A few may be released, traded or simply returned to the original team before the Rule 5 acquisition. There is no need to predict, ponder over these decisions or attempt to understand the difficult choices that professional baseball management makes every year about their players. The long days of practice, training and games of professional baseball are rewarded with team championships. Rarely, organizations experience the fruits of their labor but the Kansas City Royals minor league system was recently rewarded. 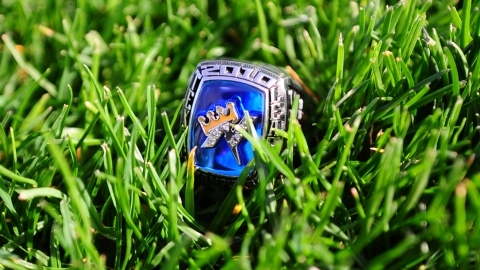 Yesterday, the Royals Double-A affiliate, Northwest Arkansas Naturals players and staff took pause to receive their Texas League Championship rings for their fantastic 2010 season. The third stop for John Lamb, during his second professional season, landed him in the Texas League to take part and contribute towards the Naturals success. The rewards for an athlete to earn a Championship ring during his career are limited and should always be cherished. I guarantee this new ring exposed my son’s dimple at least once, if not more, for this opportunity. Media and unofficial reports from friends and colleagues have assured me that John looks good and continues to work hard for the season ahead. I will offer news, or updates, when available during his Spring work in Surprise, AZ but I would like to stress staying focused about the basis of this site to avoid ridiculous levels of work surrounding comments from visitors. I welcome your questions, comments and opinions provided the topic is about baseball.